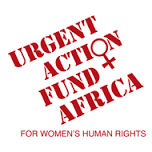 The Urgent Action Fund for Africa (UAF-Africa) makes rapid response grants to help women’s rights organizations and women’s rights activists in Africa respond to unanticipated problems and opportunities. The categories for grant making include one on natural resources governance and climate change. Natural Resources Governance and Climate Change. Among several themes for grant making, UAF-Africa supports African women to actively participate in decision making and governance of natural resources, and in the orientation and implementation of policies and practices that address climate change. APPLICATION: UAF-Africa makes small grants intended to enable a short-term intervention in the course of a long-term strategy. Application requests can be sent online, or they can be submitted by email or postal mail. UAF-Africa responds to most urgent requests within 24 hours. Grants are a maximum of US$12 thousand. Applications are accepted in Arabic, English, French, Portuguese, and Swahili. The Fund provides a contact form.